In 2018, the Singapore property market welcomes the Chinese New Year with improved sentiment and brighter forecasts, says Augustine Tan, president of the Real Estate Developers Association of Singapore (REDAS), at the association’s Spring Festival Lunch on Feb 23. By end-2017, Singapore’s GDP had expanded 3.5%, the highest in five years, he notes. 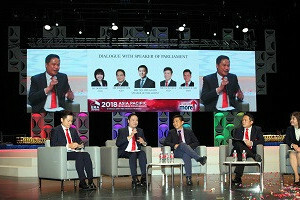 This has renewed confidence in the property market, and the government expects the number of private residential units available for sale to more than double in the next few years, says Desmond Lee, second minister for national development. Citing URA data, Tan says that developers sold 10,566 units for the whole of 2017, a 53% increase compared to 7,972 units sold in 2016. Additionally, island-wide home prices gained 1.1% in 2017 compared to a 3.1% decline the year before, he adds. The property market is in the early stages of a recovery and positive buying sentiment is likely to continue, even as the 1% hike in buyers stamp duty “may translate into higher prices for new projects in the future”, he says. Property in Singapore is still competitively affordable compared to cities like Shanghai and London, says Tan. 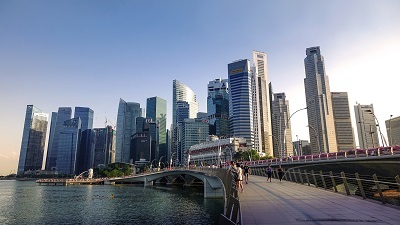 Citing research by JLL, he notes “it takes 4.8 or 5 years to afford the average price of a home in Singapore, compared to the 14 to 15 years in Shanghai and Beijing, and 8.5 years in London”. However, the real estate market is expected to be affected by Singapore’s increasingly ageing population and changing demography, cautions Tan. Anticipating these challenges, the government will begin implementing initiatives in the Real Estate Industry Transformation Map (ITM) that was unveiled last month, says Lee. The ITM focuses on streamlining the property transaction process to provide seamless, end-to-end secure transactions. This will boost productivity and help firms remain competitive against disruptive entrants and competitors, explains Lee. The ITM will also work to encourage the industry to adopt smart technologies into facilities management, aimed at reducing abortive work and reap long-term cost savings.